This high performance dishwasher rinse aid can be used in all types of dishwashing machines. It is cost effective and naturally derived from raw materials with no petrochemicals, phosphates, preservatives, enzymes or synthetic perfumes. Use with Bio D dishwasher powder for best results. Aqua, Ethanol, Citric Acid, Non-Ionic detergent. The Bio D Dishwasher Rinse Aid - 750ml product ethics are indicated below. To learn more about these product ethics and to see related products, follow the links below. Seems to do the job well, as environmentally friendly too. Use the rinse aid regularly with no detrimental effect. Very pleased with the product. Seems to do the job effectively. 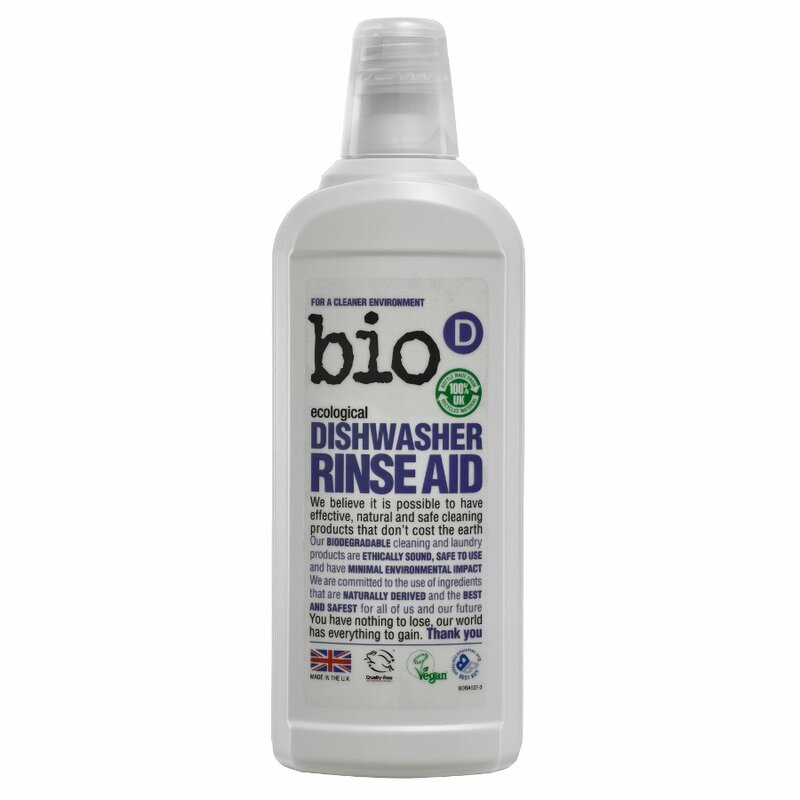 There are currently no questions to display about Bio D Dishwasher Rinse Aid - 750ml.